Since the integration of the European Union, the European Commission has put in effort in leading Europe to meet the upcoming climate challenge. While the world is anticipating the global climate change conference in Copenhagen in December this year, in which the world leaders are expected to reach a compromised commitment like the Kyoto Protocol, the European Union has implemented several major policies in her 27 member states to combat changing global climate (ROSENTHAL, October 14, 2009). 1. Reduce greenhouse gas emissions by 20%, compared to the 1990 levels. 3. Reduce energy consumption by 20%, compared to the anticipated 2020 levels, mainly achieved by enhancing the energy efficiency (Commission, 2009). To achieve these three ambitious goals, the EU has implemented a few major climate policies. The first goal, which is to reduce carbon dioxide emission, will be achieved mainly by further decreasing the carbon emission allowance for the major carbon emitters (e.g. power plants, oil refiners) under the European Union Emission Trading Scheme (EUETS). For transportation means, the EU governments will continue to encourage the use of sustainable biofuels. 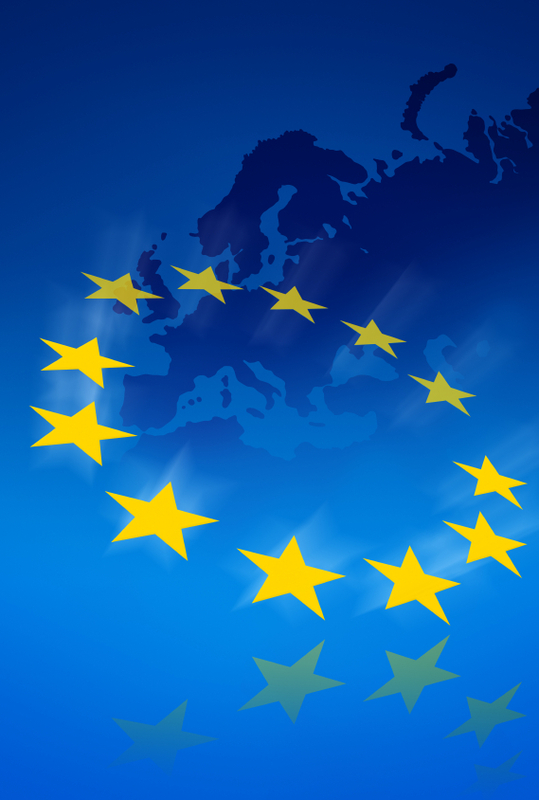 The European Union Commission implemented the EUETS in 2005 in response to the Kyoto Protocol. The scheme was implemented in the 27 member states of the European Union (EU), including nations like France, Germany and the United Kingdom. This is by far the second largest multi-national and emission trading scheme in the world, after the Tokyo Protocol. The first trading phase was conducted during 2005-2007 while the second trading phase will end by the year 2012 (Commission, 2009). The cap-and-trade concept behind carbon trading is very simple. The government determines the maximum amount of carbon dioxide allowed each year and distributes allowance accordingly to different large emitters such as power plants, oil refiners, transport services provider and other manufacturing industries. The enterprise can trade the allowance in the carbon trading market. With higher level of implementation of green technology in the factory, the enterprise can sell its quota to his counterparts, thus gaining capital for research and development in their products. On the other hand, the industries that do not utilize green technology will suffer from the increased cost. It was believed that carbon trading will provide a strong financial incentive for the industries to go green, thus achieving the aim of carbon emission reduction (Programs, 2008). The first similar idea was implemented in the US in 1990, which is the sulfur dioxide emission trading scheme. The largest emission trading scheme at the moment is the Kyoto Protocol, which was signed in 1997 and enforced since 2005. There are also several economy systems in the world that has a carbon trading market, namely Australia, New Zealand and European Union. By 2009, carbon trading and carbon market is already a vigorously emerging market, especially in the US and EU. The effect of the policy varies according to different districts, mainly depending on the pillar of industries in the area, the level of green technology before implementation of the carbon trading policy and other facts (Programs, 2008). Economists and environmentalists were divided when they looked at the policy. The former believed that the scheme would weaken EU’s industries, especially heavy industries like the aluminum refining and automobile factories, because carbon trading means incurred costs for some industries and will eventually reflect in the price of the products. Environmentalists believed that carbon trading provided very strong incentives for the European industries to implement green technology and carbon trading is by far one of the most effective way for the government to monitor carbon emission without too much government intervention in the market (Programs, 2008). It was also revealed that in the first phase of carbon trading, over allocation was problem. The number of allowances distributed to installations in 2005 was 4% higher than the total EU cap. The statistics show that the price of carbon decreased continuously. Because there was no accurate data released for the period before 2005, which is the year before the scheme was implemented, no conclusion can be drawn in how effective this scheme was to reduce carbon emission from the area. However, according to the rough figures collected in a haste by the government, which was also questioned to have the trend of overestimating because it will be used to determine the allowance in the coming trading phase, it was found that the EU-wise carbon emission has decreased for 4% compared to the projected carbon emission baseline.